A&E is taking the drama storyline which follows a bullied, teen boy who befriends a young, female vampire. She lives in secrecy with her enigmatic guardian. A series of strange murders cropping up in their small town attracts the attention of a federal marshal with a shrouded past of his own. 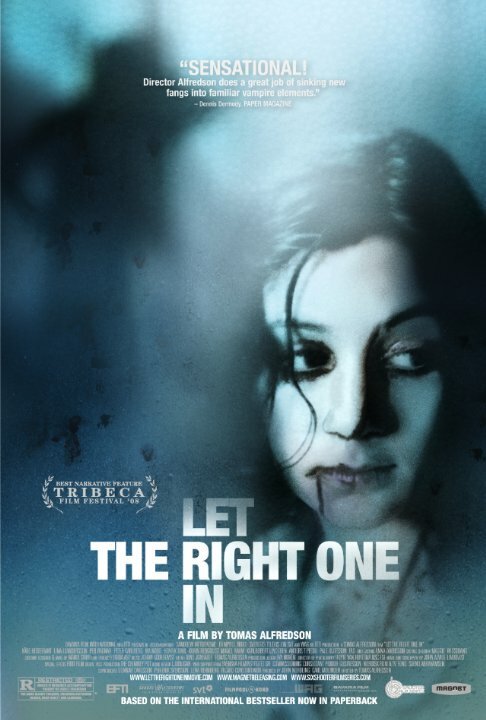 The Swedish film from 2008 was based on a best-selling book by John Ajvide Lindqvist, and remade in 2010 as ‘Let Me In‘ with current horror-IT girl, Chloe Grace Moretz. To give the story a solid framework, A&E is teaming up with a duo that has successfully taken a film and turned it into a series for another network with ‘Teen Wolf‘, of course I’m talking about Jeff Davis and Brandon Boyce, who will architect the script. The story and setting will give a lot of room for the characters to grow and interact while providing some heart-racing pacing with plenty of open points to continue for several seasons. This entry was posted on Tuesday, March 17th, 2015 at 12:52 pm	and is filed under Books, Film, News, Television. You can follow any responses to this entry through the RSS 2.0 feed. You can skip to the end and leave a response. Pinging is currently not allowed. « Here’s the Full Lineup Of Films for the 2015 Dallas International Film Festival!